Dreams releases its own special calendar for 2019. Of course, all proceeds go to fund the dreamers. 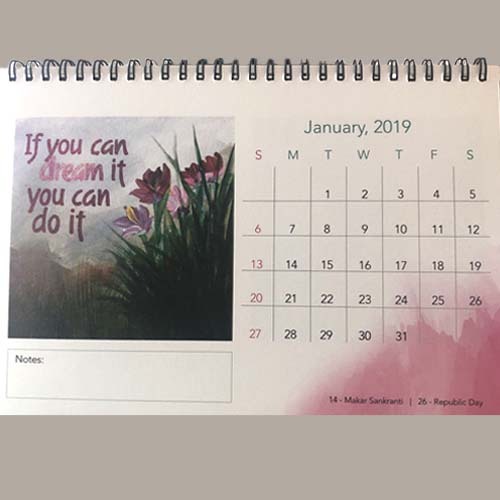 The Calendar is a dose of positivity and sunshine on your office table or home cabinet, with our own special paintings with quotes on each page. The quality of paper and printing make it a special gift to family and friends. For Corporate orders, we can print your logo and information on bulk orders. It would be a warm and purposeful gift to give your clients at the start of the year.